Whitney Marie Henry is a Master Aesthetician certified and licensed in 2016 by the Commonwealth of Virginia. 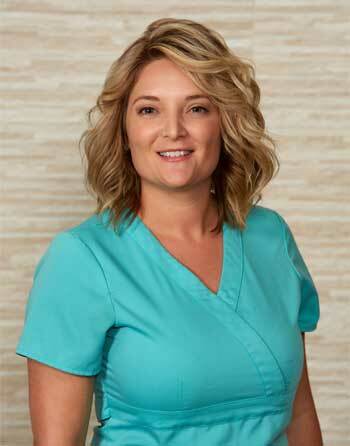 She received her training at The Chrysm Institute of Esthetics while working with Pariser Dermatology Specialists as a Dermatology Technician since 2012. Her passion for Dermatology and her natural inclination to help others shines through in her thorough consultations with patients. Whitney enjoys supporting patients of all skin colors, gender, and ages. Her skincare approach is based on each unique individual’s skin type and condition. She finds solutions and guides her patients with their home regimens, teaches preventative care, and provides a pathway to more beautiful and healthy skin. With kindness and a gentle caring touch, Whitney aids those who suffer from acne, rosacea and skin cancer. She also helps improve and reverse the effects of aging skin and treats dry, oily or sensitive skin. She utilizes products, tools, and equipment tailored to your specific needs and offers treatments such as chemical peels, microdermabrasion, facials, Manual Lymphatic Drainage, electrodessication, microneedling, dermaplaning, ultrasound, LASER, and IPL. A proud mother of three and married 20 years with military roots, Whitney and her family reside in Virginia Beach. "This was my first visit to a real aesthetician. Whitney put me right at ease and was so sweet and knowledgeable. I can't wait to go back!" "Whitney spent time really listening to me and learning about my personal skin type. She was very kind and gentle and helped me look and feel younger.!" "Whitney is amazing! She really listens and provides the best solution."